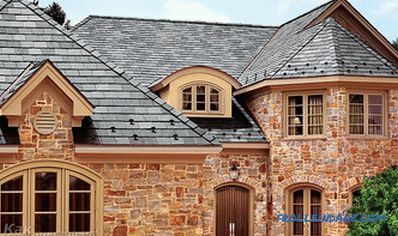 Among the various roof structures, the most complex and attractive is considered to be multi-tong. The peculiarity of its design lies in a large number of complex elements. These include pediments, tongs, valleys and ribs. 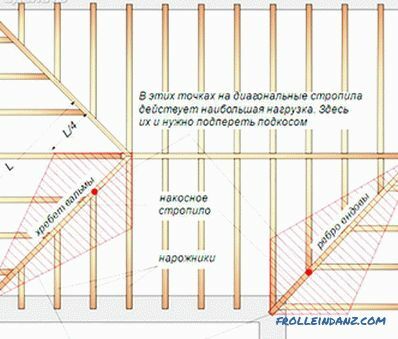 In this article, we will explain how to build a multi-gable roof with our hands, we will show drawings and diagrams, photo and video materials. 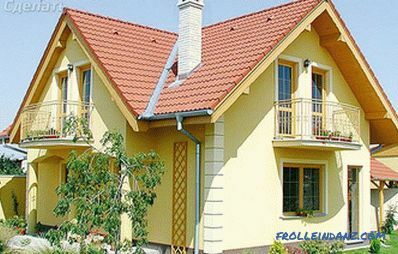 in buildings with a complex layout and many rooms. 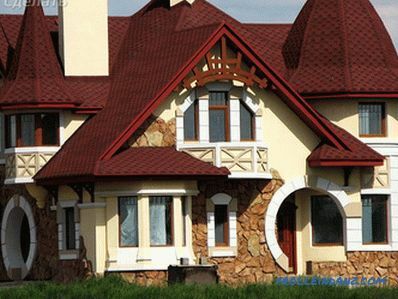 A simple variant of a gable roof considered gable roof without gables. In this design, the upper triangular section of the wall is called a gable. In the process of building a multi-roof, there are no simple steps, all actions, starting with calculations, require knowledge and skills. 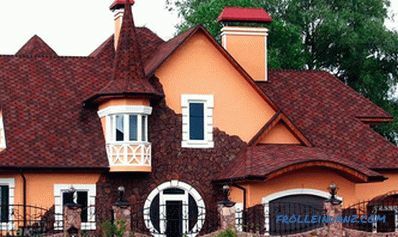 The roofing device allows you to place a living space under it. Despite the difficulties, homeowners take on an independent installation, which saves a significant amount of money. The multi-tip roof will require enormous physical and financial costs, but it will delight the creators of the architectural beauty of the building. snow cover does not linger on steep slopes. 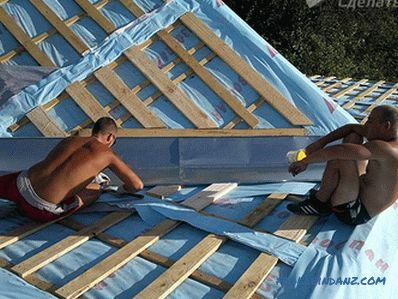 the need for high-quality waterproofing of internal joints. Endova - the place of internal connection of skates, they are one of the key nodes. They have to withstand a significant load from the accumulation of snow, so the support from the system of supports and struts is performed from below. Waterproofing the site is of great importance, on the valley passes all the water flowing on the roof. Any design error will result in leakage. 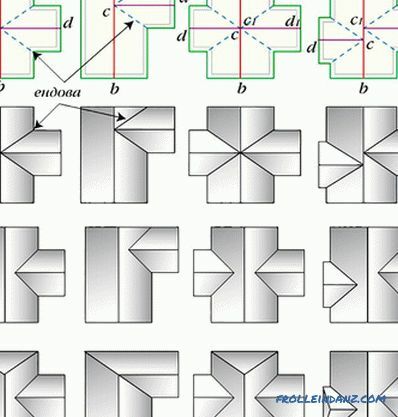 Edges - represent the outer corner of the connected rays. 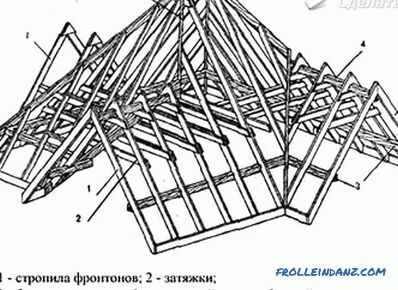 One of the most difficult places in the construction of a multi-holed roof is considered to be the intersection of the ridge bar, to which the endova adjoins. The ridge is one of the edges of the roof. 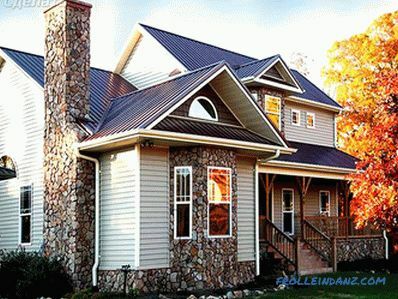 Gable is a section of the wall bounded by slopes; it is obtained in the shape of a triangle and is not separated from the wall by a cornice. 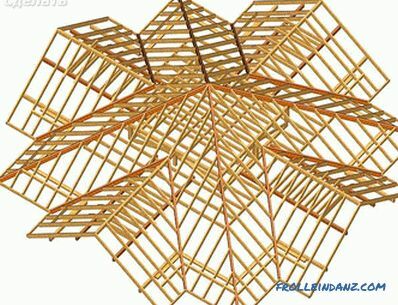 Mauerlat is the supporting base of the entire roof, which distributes the load on the walls and the foundation. The rafters are plain, hanging and diagonal. 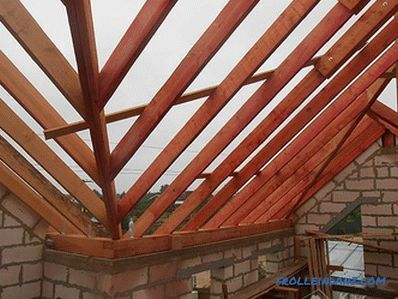 Lathing is a skeleton made of timber, necessary for fixing the roofing material and insulation. The base of the multi-gable roof is the power plate . 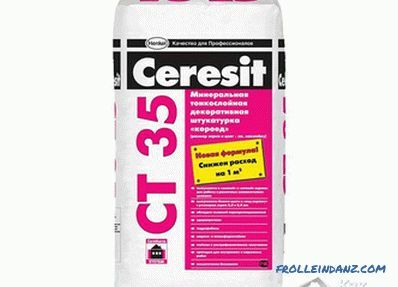 The base element is subjected to high load, so for it is used a beam section of 150 * 150 mm. It is fastened to the walls of the building with anchors laid down during the construction of the house. On the mauerlat lean rafters. Rafters can be sloped and hanging. Their choice is determined by the design features. 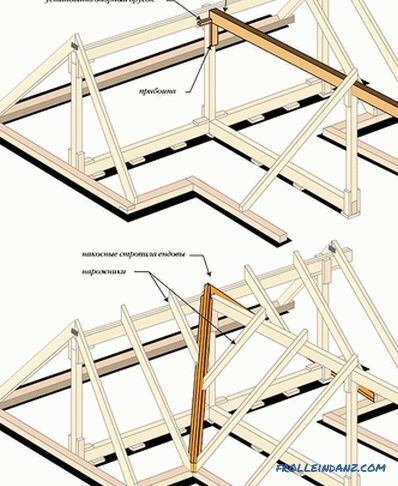 In the case of a hip and half-hinged roof, diagonal truss legs are installed at the joints of the ramps. These elements account for the main load, so they need to be reinforced by female workers. 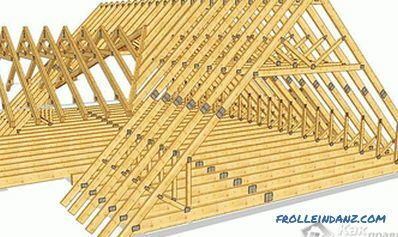 Such rafters can be made dual, connected from two boards 150 * 50 mm. 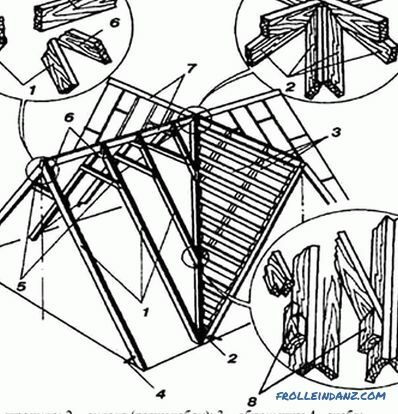 Rafter legs, reinforced by struts and bolts, form a farm. 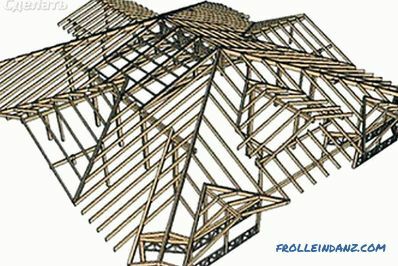 In order to provide an attractive view of a multi-tongued roof and the required rigidity of the structure, all parts of the trusses are made as a template. 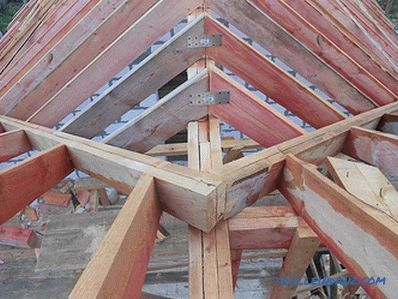 Novice builders can not assemble trusses with a cutting, but fastening them with metal overlays. The fastening of the rafters to the power plate is done by grinding, installing brackets or corners. 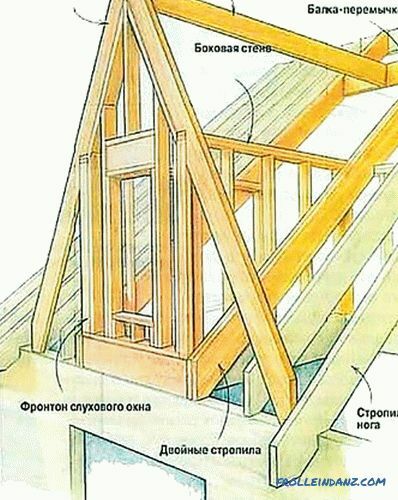 In the upper part of the rafters are connected with a ridge bar. 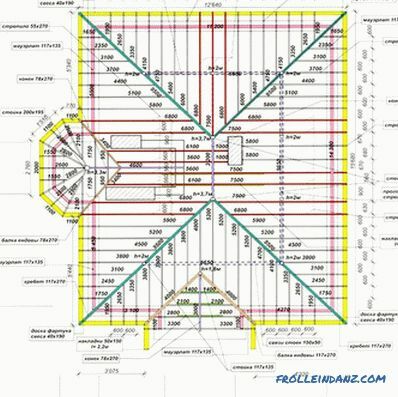 When installing a truss system in a large house, ceiling beams are used as puffs. 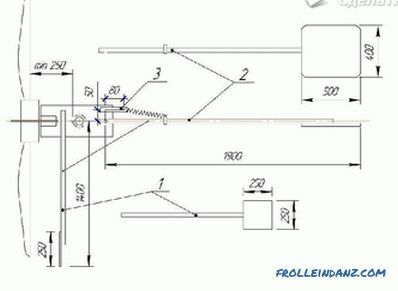 Strengthening the structure allows the woodworking - horizontal bar, laid exactly in the middle between the two walls and connected to the power plate. Under the nakosnye legs and endova can be stacked additional sunbeds. 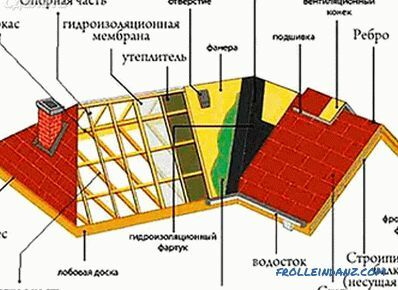 After installing the rafters, the sheathing is stuffed on them, at the joints of the slopes, where the valley ends are arranged, it is continuous.The layout of the waterproofing device of the inner corner provides for the laying of an additional layer to ensure the reliability of the design. Waterproofing is laid on the boards and the lower plank is mounted. If the endova consists of several parts, they are mounted on the bottom, the upper part overlaps the edge of the lower element. The junction of the bottom rail and roofing is insulated. To give the structure a complete look, the upper plate of the valley is set. Last element trussing system is lathing. 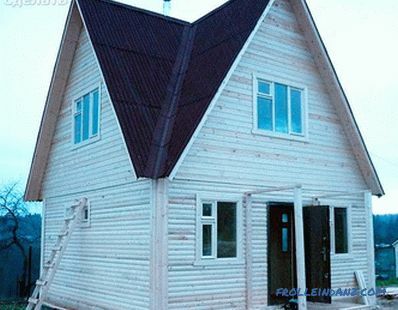 It is stuffed onto the rafters with a step that depends on the choice of roofing. 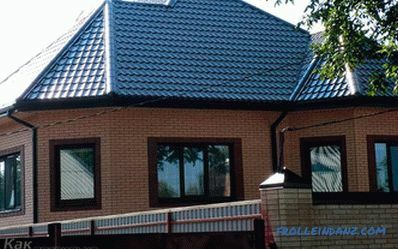 For a soft roof, it is made solid, for metal tiles - in 25-30 cm increments. 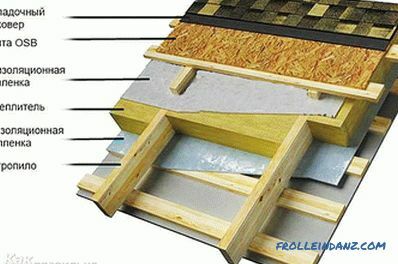 A waterproofing sheet crawls horizontally on the batten, the strips overlap by 10 cm. 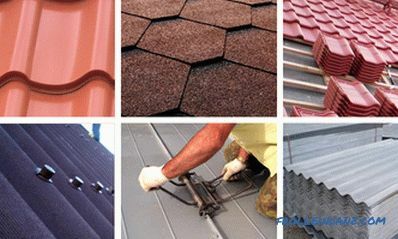 If warming is provided, the material is laid under waterproofing. 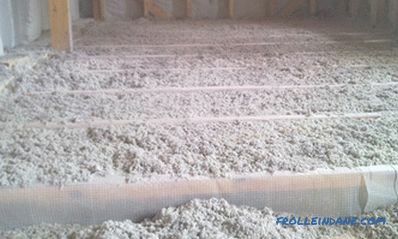 Making the insulation design, we must not forget about the ventilation holes. 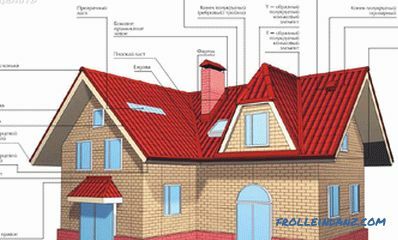 For a multi-gable roof, a low-weight coating is recommended so as not to put additional strain on the rafters, for example, when installing metal tiles. 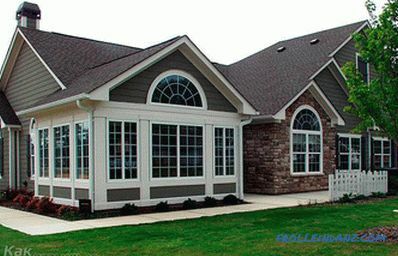 There are many options for how to make a multi-gable roof, they differ in the complexity of the design and appearance. 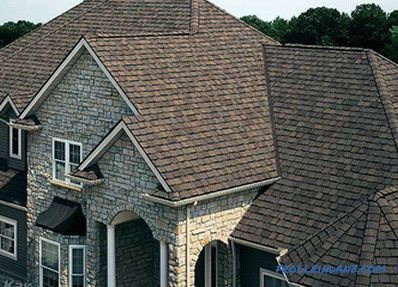 Most naturally, this type of roof looks on square and rectangular houses.